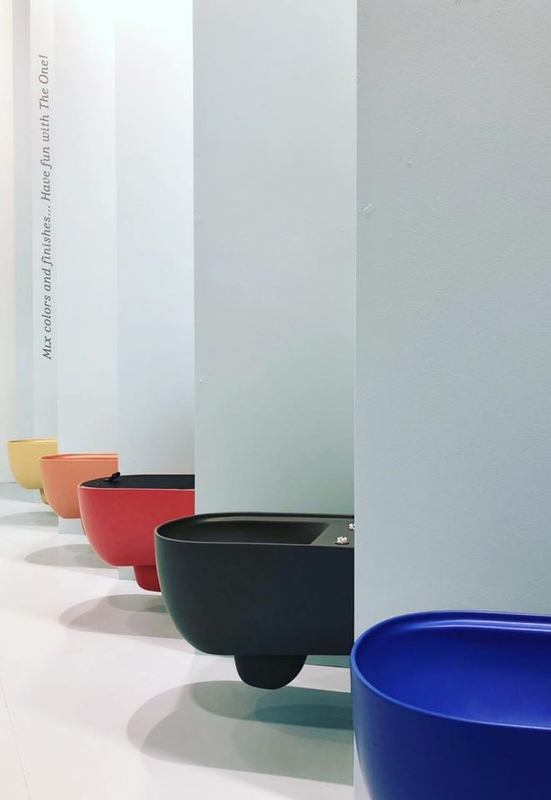 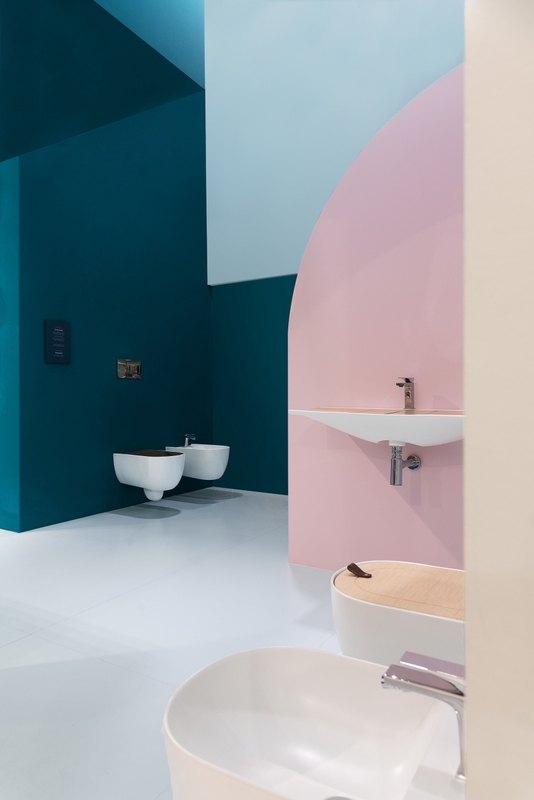 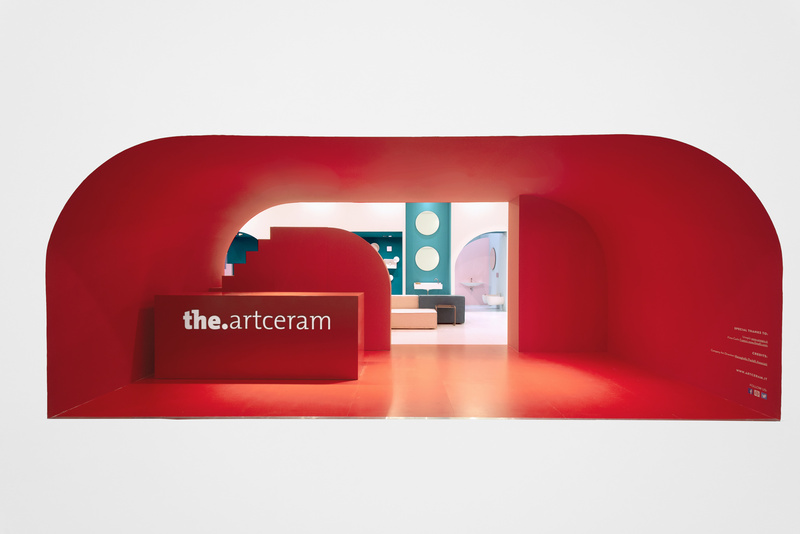 Also for this Cersaie 2018 edition we made the design and the outfits of Artceram On Stage stand. 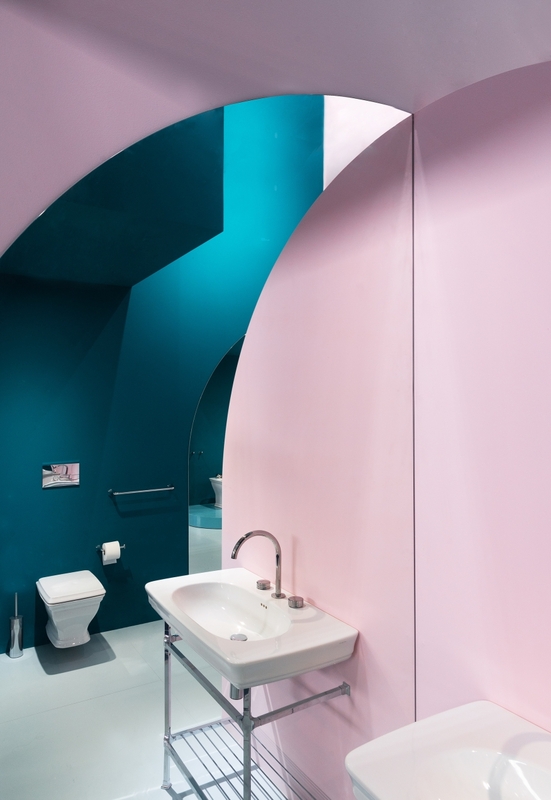 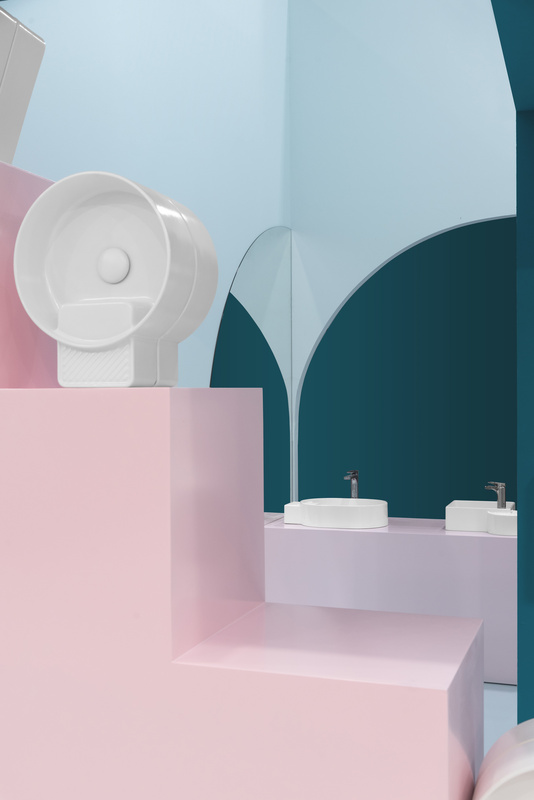 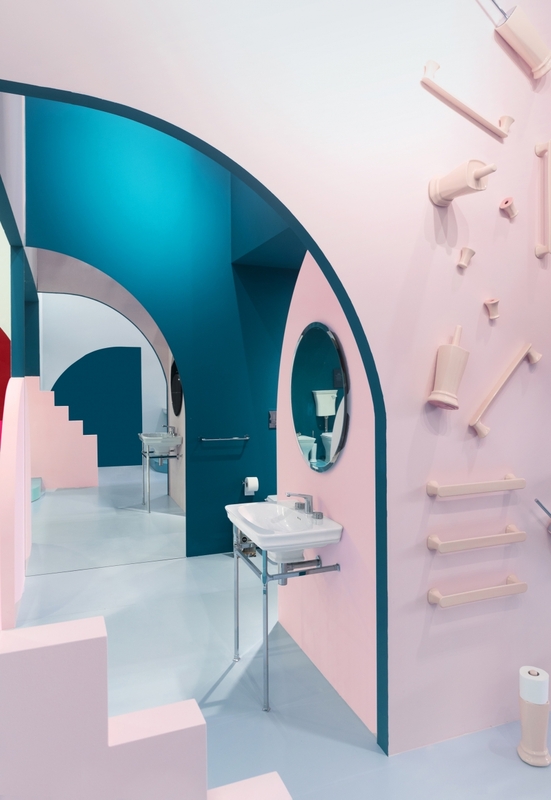 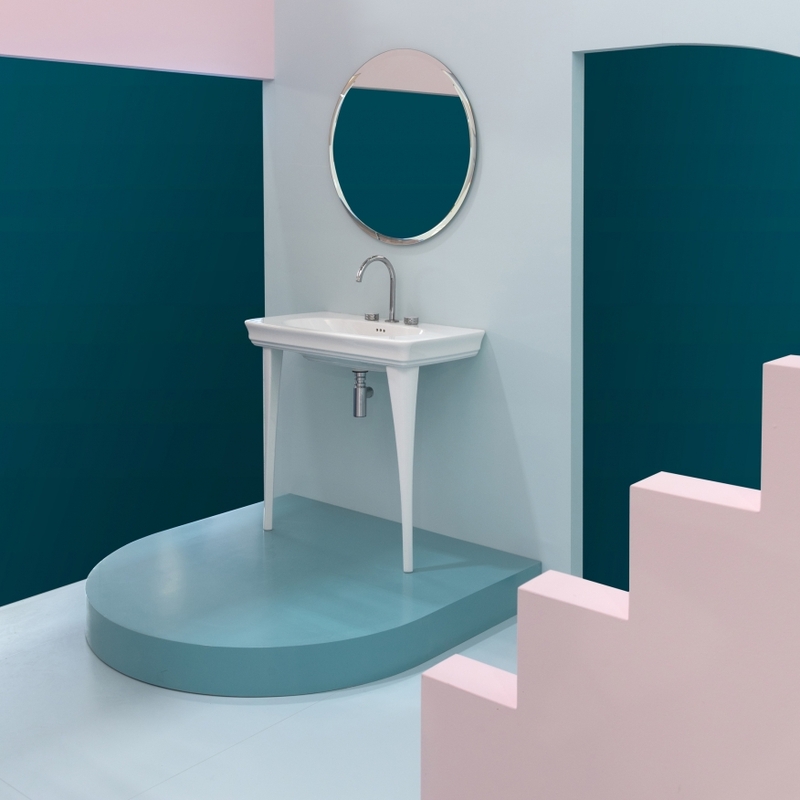 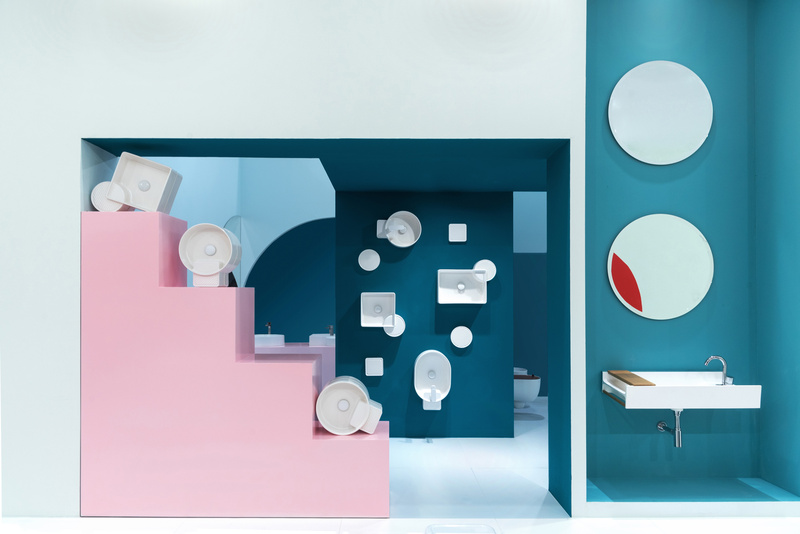 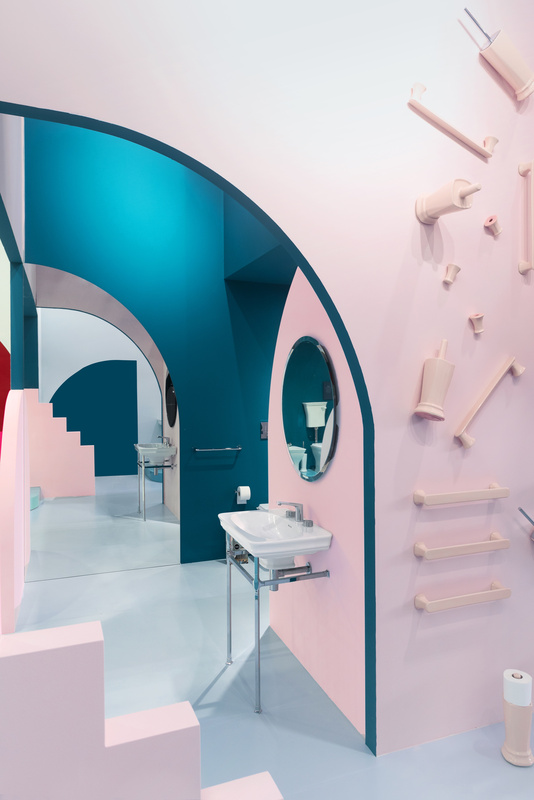 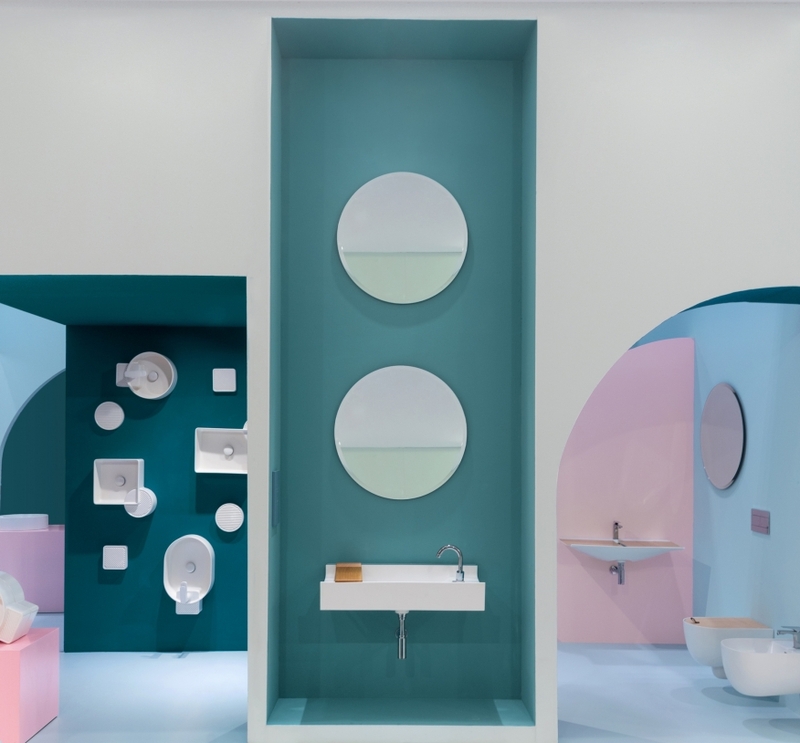 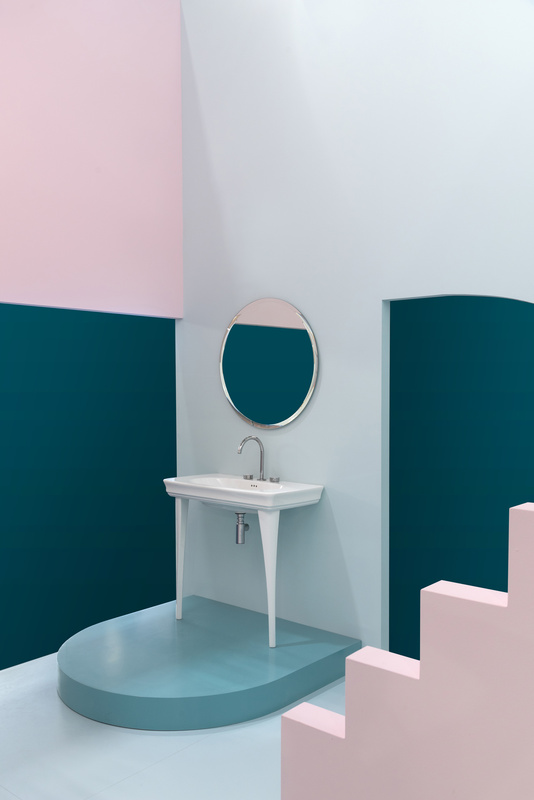 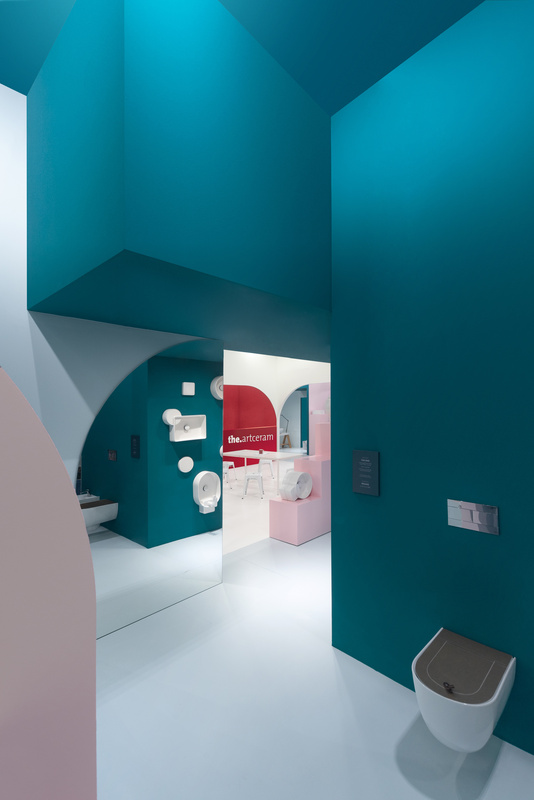 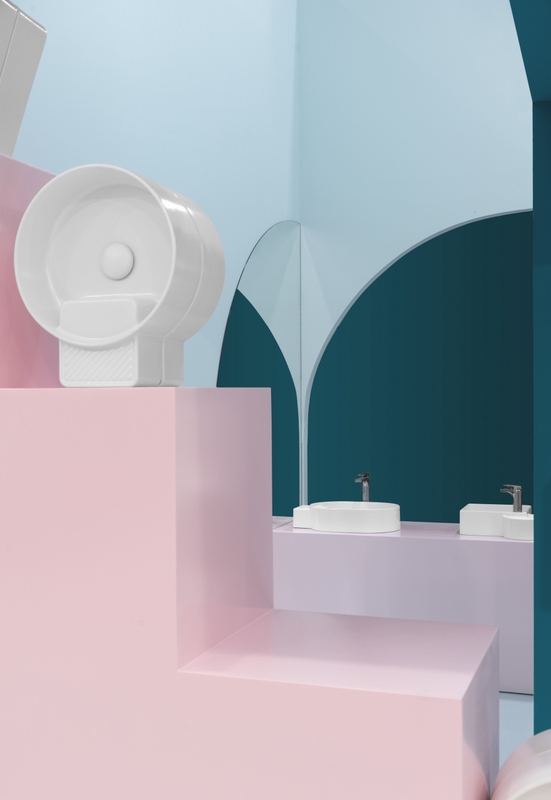 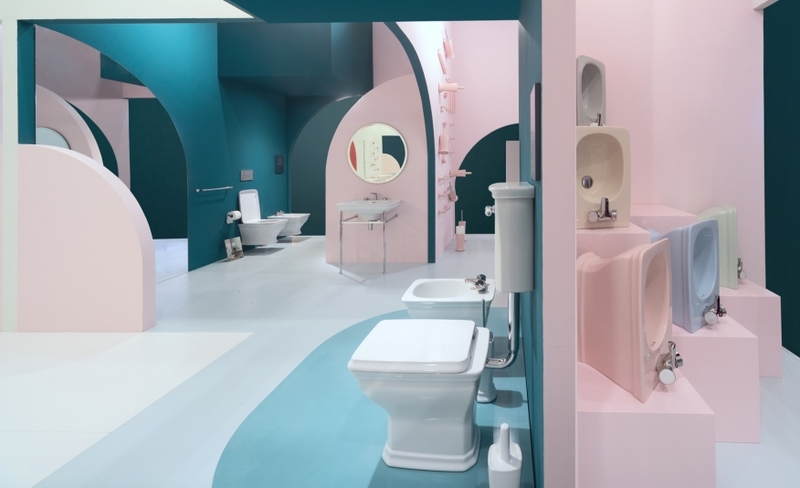 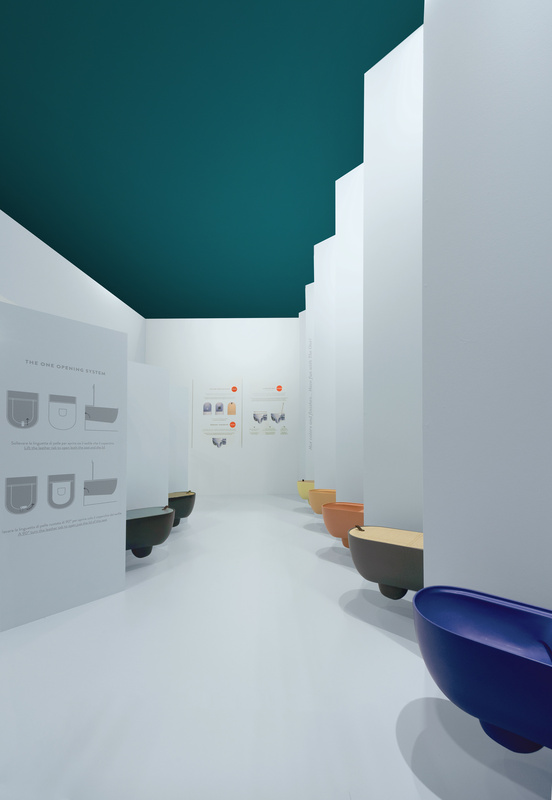 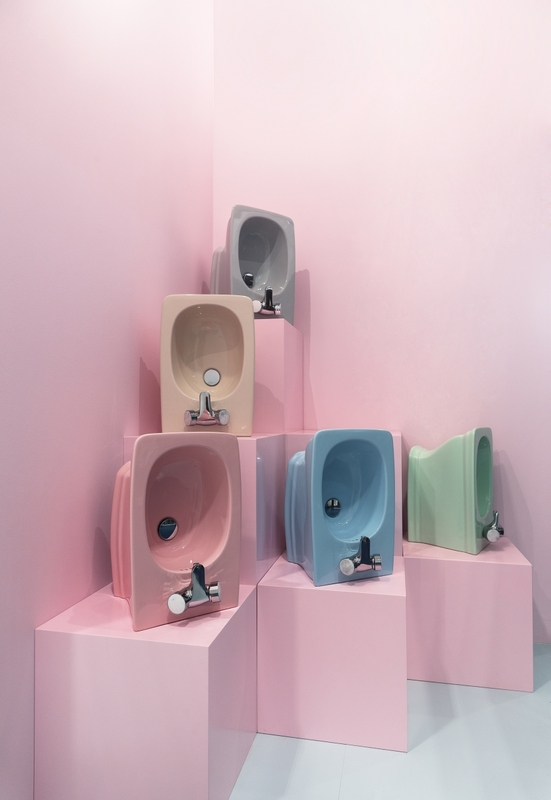 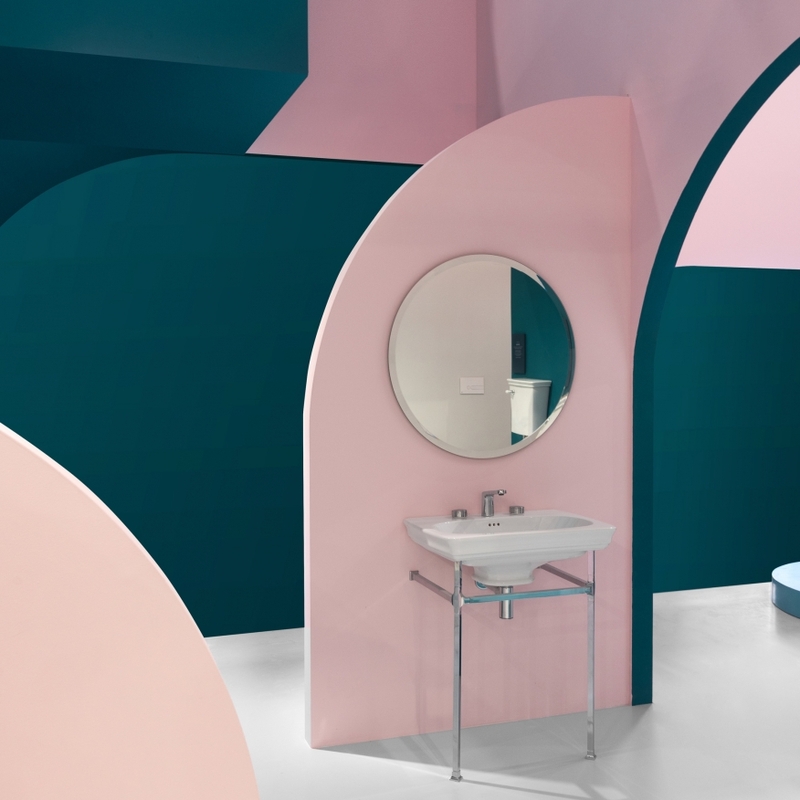 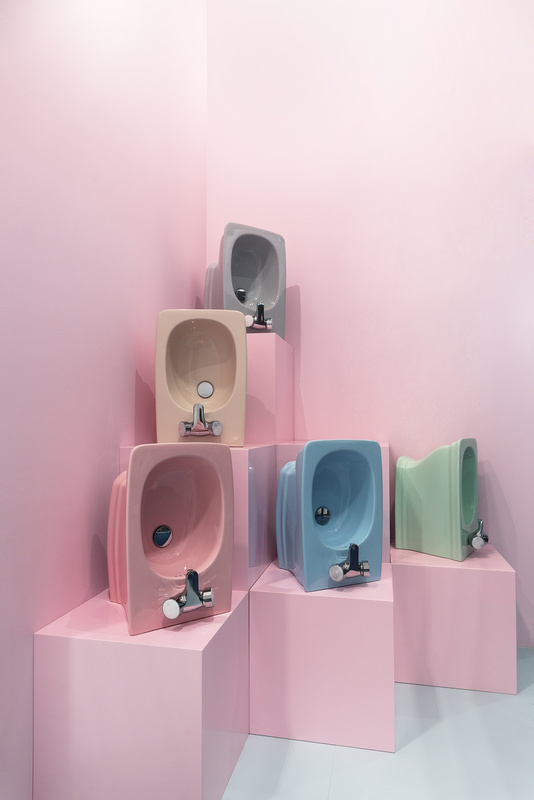 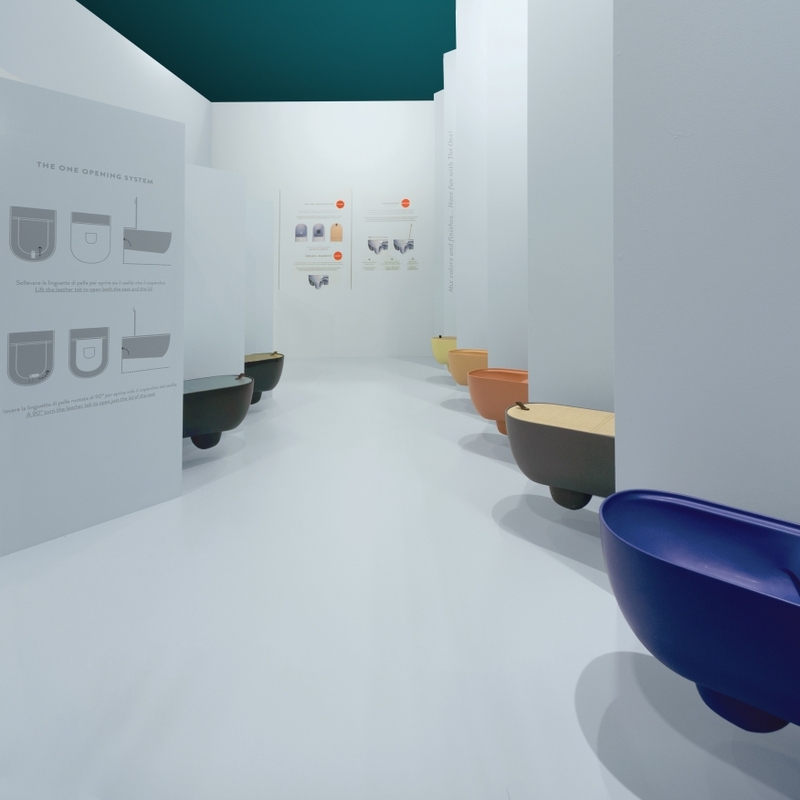 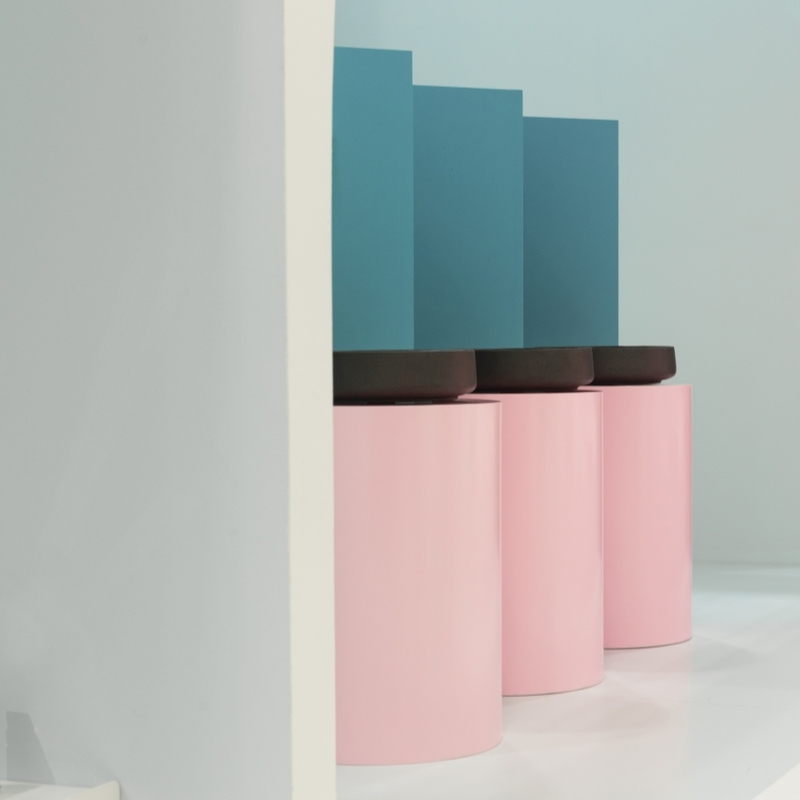 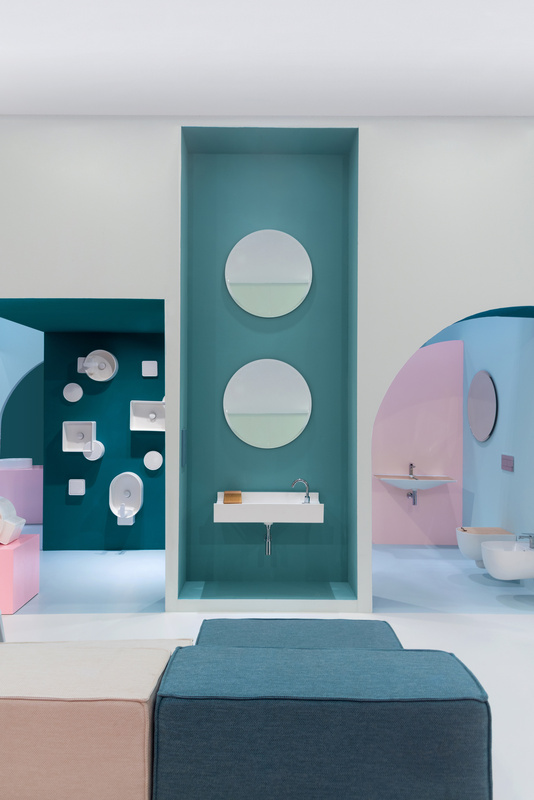 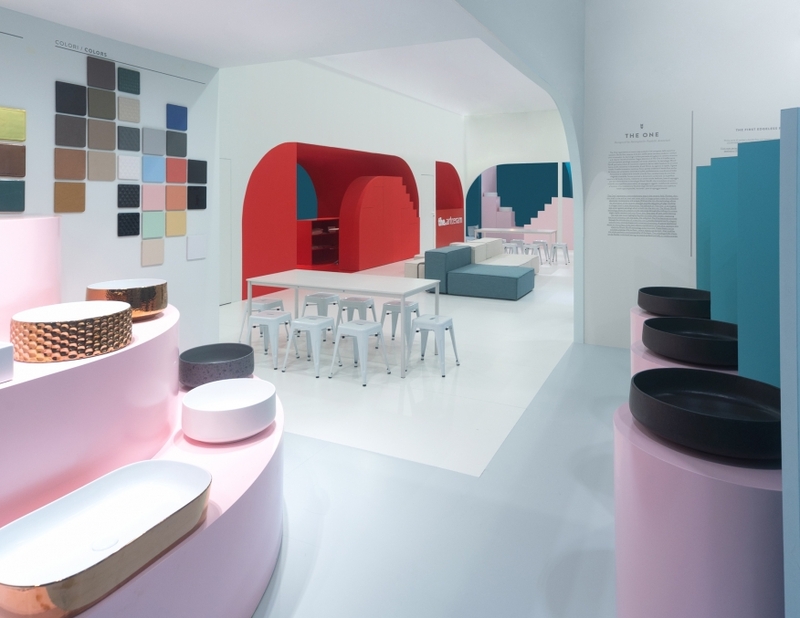 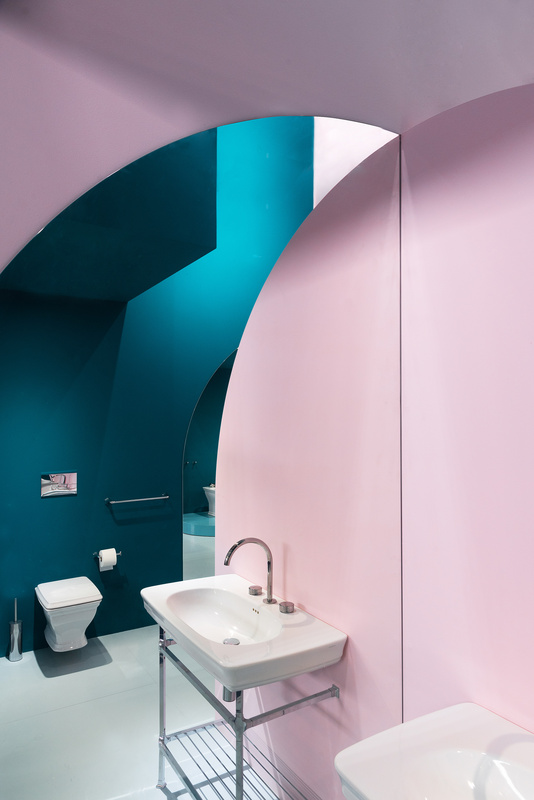 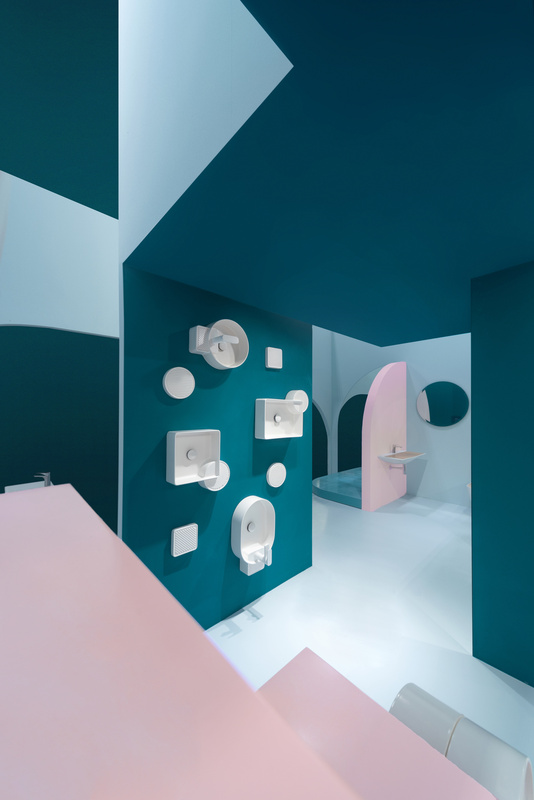 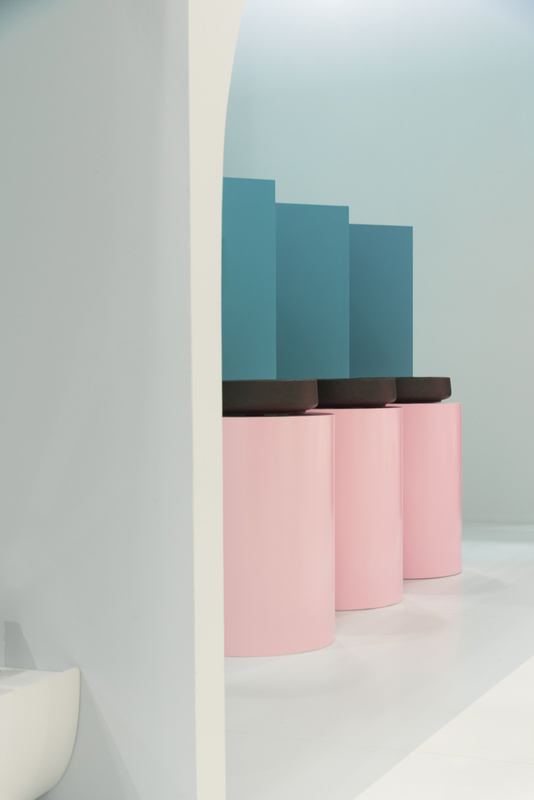 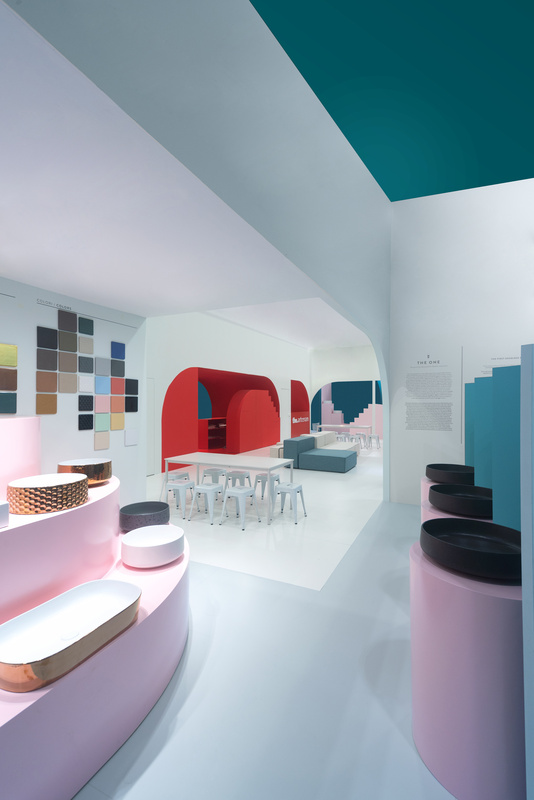 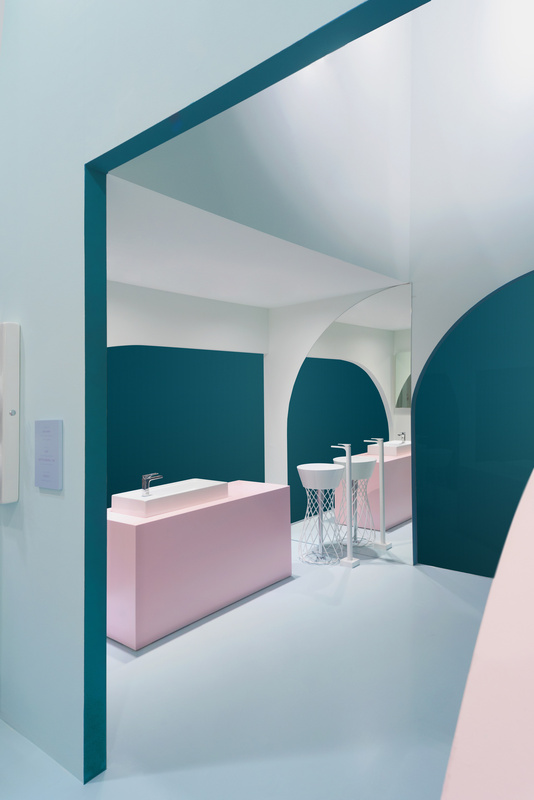 The booth is characterized by a unique and oneiric space with a playful atmosphere and a minimalist approach. 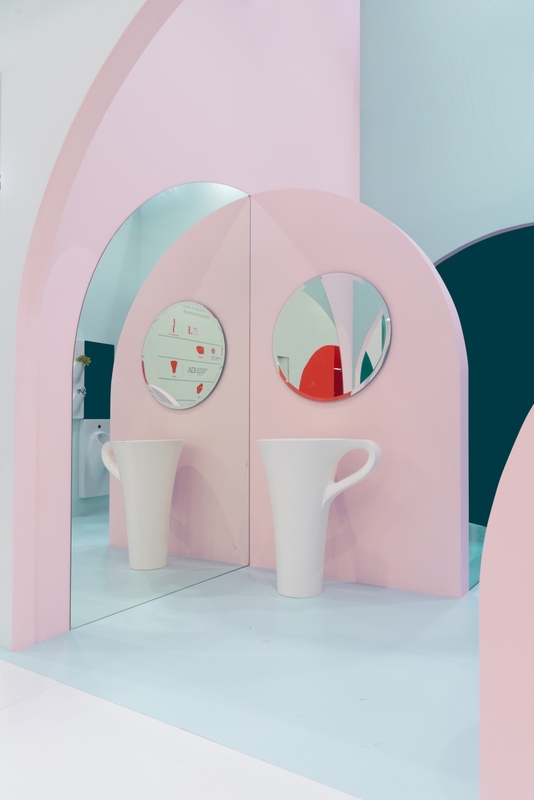 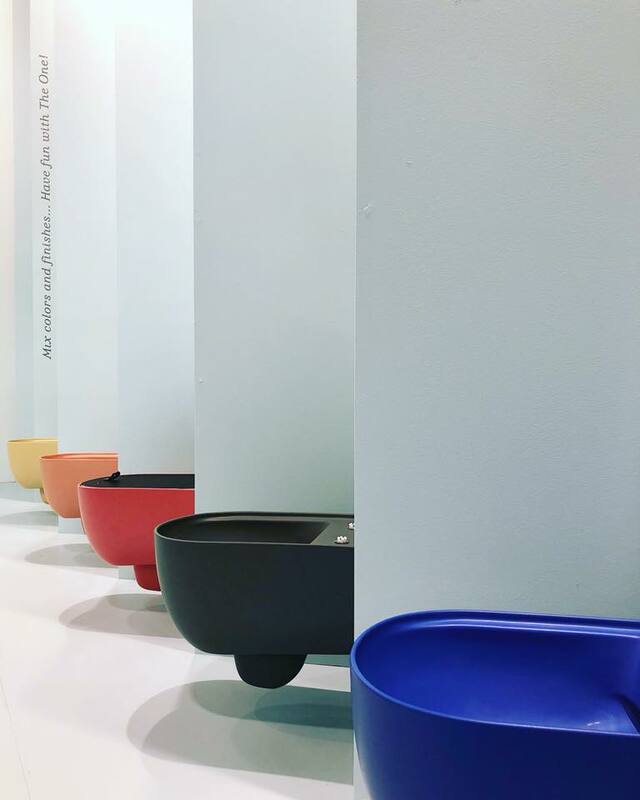 Simple structural and architectural elements along with an intended surrealistic and sculptural expression are at the heart of the stand design. 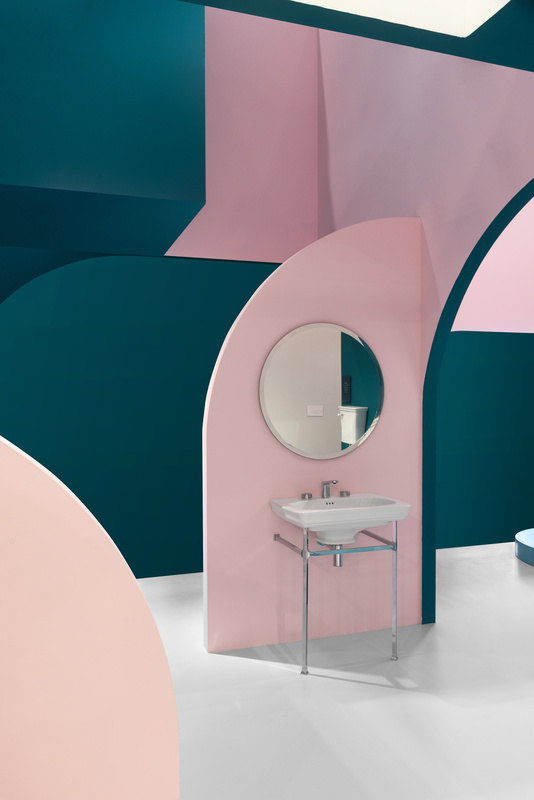 The importance of the space is emphasized by original matching of colours that evoke the new watercolour tones (pink, grey, green). 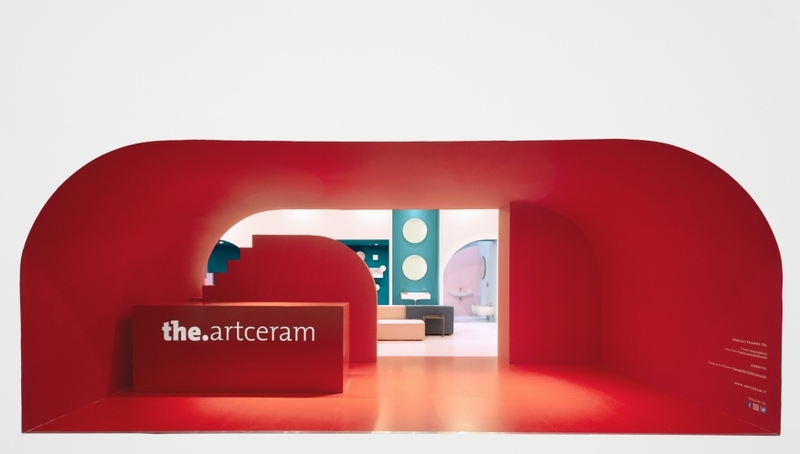 Red, representative colour of Artceram, is used on the big booth entrance. 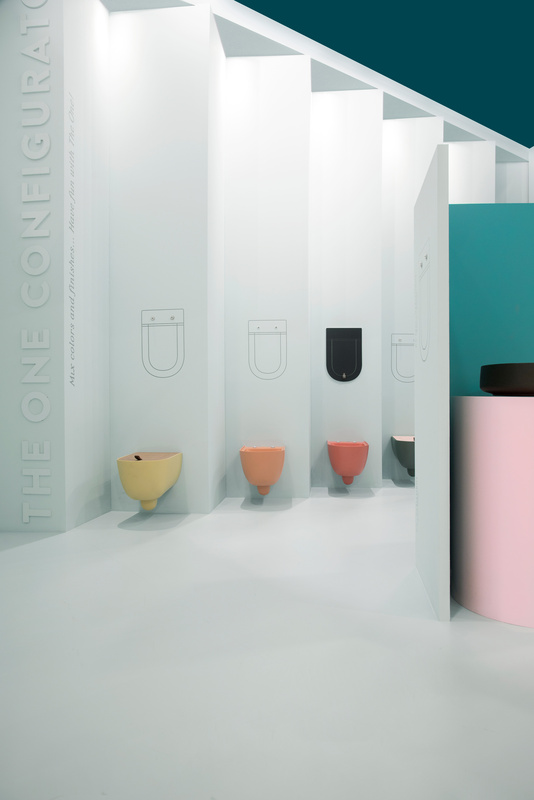 Solids and voids and all the different colours help to increase the iconic value of each product, like a main character on stage.